Testing the U.S. Army conducted in June proved that equipping an unmanned aircraft system (UAS) for an airborne electronic attack role is “technically and tactically feasible.” The service will continue experimenting with the system, although it has no immediate plans to field it on a UAS. The Pentagon’s Joint Improvised Explosive Device Defeat Organization since 2012 has funded the Networked Electronic Warfare Remotely Operated (Nero) project, which adapted the Communications Electronic Attack with Surveillance and Reconnaissance (Ceasar) system deployed on Army C-12 Huron turboprops to the unmanned MQ-1C Gray Eagle. 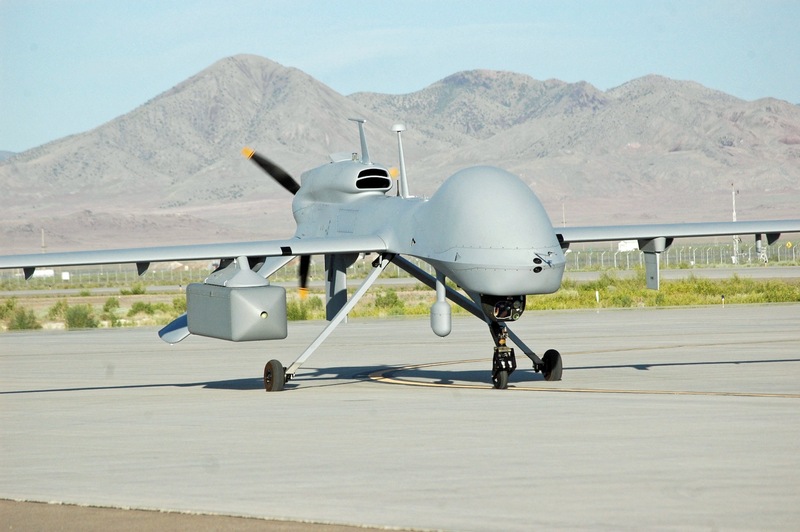 The Army’s UAS program, the Naval Surface Warfare Center, payload supplier Raytheon and Gray Eagle manufacturer General Atomics collaborated to design the modifications required to accommodate the jammer. Testing with the Gray Eagle and Nero pod took place from June 2 to June 19 at Dugway Proving Ground, Utah. The pod flew for 32 total hours, 20 while the jammer was operating, according to the Army.